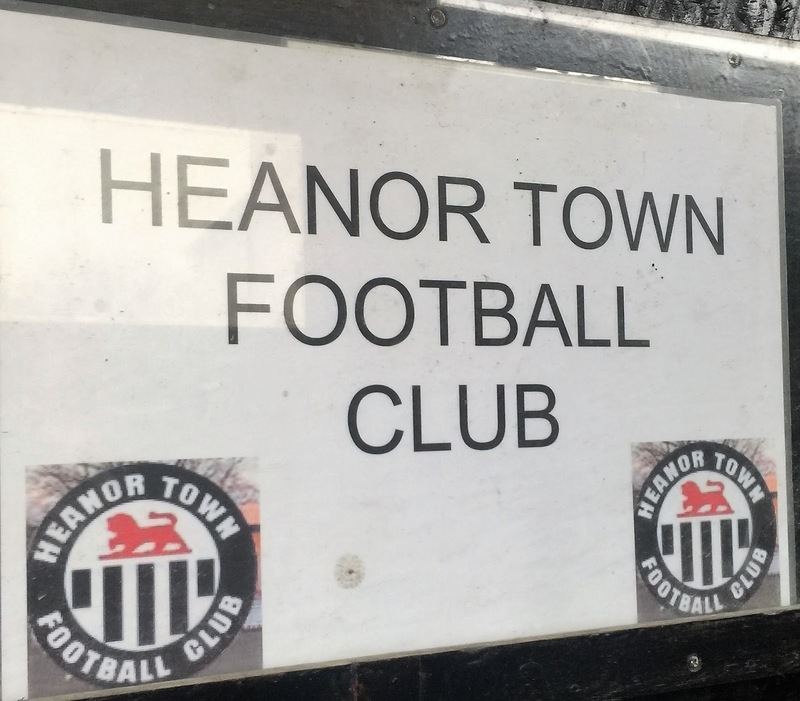 HEANOR TOWN FC was founded in 1883, though other clubs existed in the town for the 5 years previously. They were founder members of the Midland Alliance way back in 1890 and although records are incomplete they have spent most of their time in Midland based leagues, though they have spent a couple of spells in the Northern Counties East League which is predominantly based in the Yorkshire and Lincolnshire area. 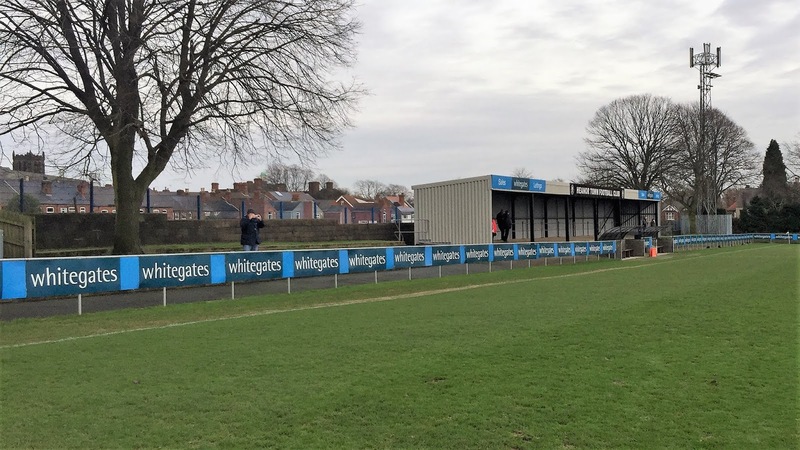 Their latest league in came in 2012 when they won the East Midland Counties League at step 6 to win promotion to their current level. Initially playing in the NCEL they had respectable finishes of 11th, 8th and 6th before being moved to the recently formed Midland League for the coming season. 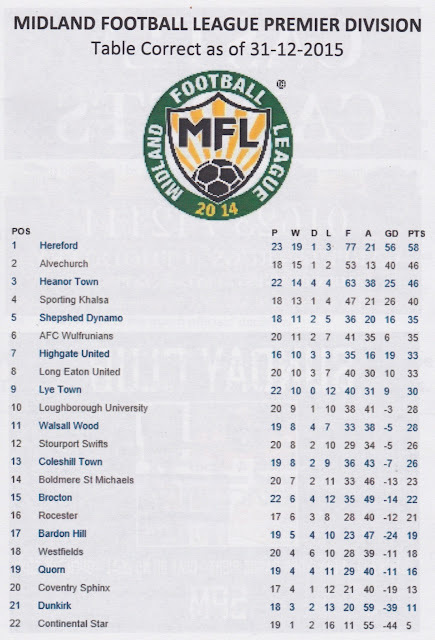 They’ve made a great start too, sitting in 3rd place and I’d seen them once already this season as they drew at Loughborough University exactly a month prior to this contest. 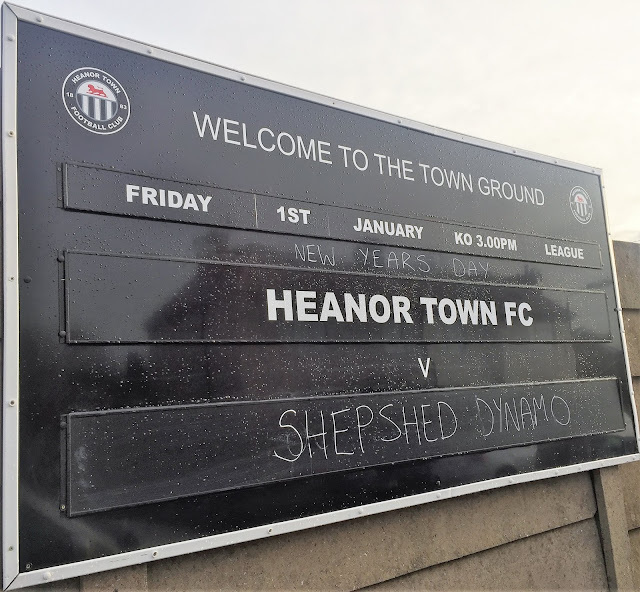 In the FA Cup, they had a great runs to the 1st Round on 6 occasions, though the last of these were in 1964 when they lost out to Bradford Park Avenue. In more modern times the 2nd Qualifying Round is as good as it has got. On that occasion, they lost out to Marine in the 2nd Qualifying Round while the victors would eventually reach the 3rd Round before losing to Crewe Alexandra. The FA Trophy 2nd Qualifying Round was also reached in 1971 whilst the FA Vase 4th Round is their best progress and they matched that last season before going out to Dunston UTS. Well known players to have plied their trade for Heanor include Nigel Clough and football’s angriest man Nigel Pearson. 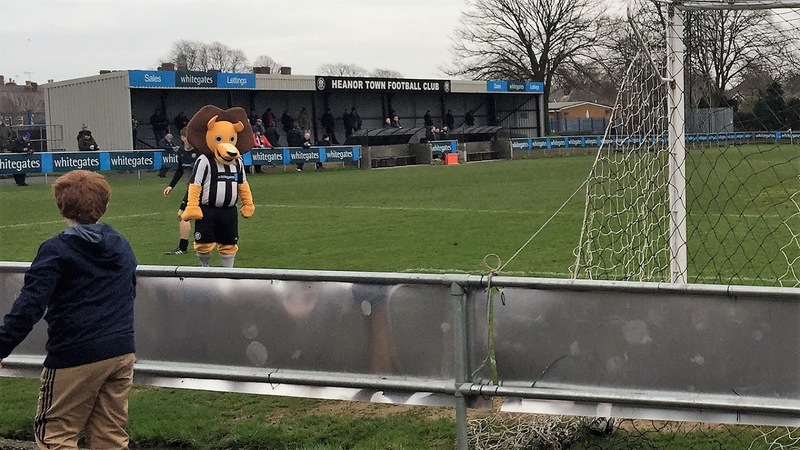 Sadly the club mascot is not an ostrich in his honour but Lennie the Lion. After finishing 2015 on 151 games seen (too few for my liking, but costs and other commitments stopped me doing more), I wanted to get 2016 off on the right foot. There wasn’t a huge amount to choose from, owing to the pretty much full schedule the following day. Out of all those that were available, I really fancied Heanor Town v Shepshed Dynamo. as I’d wanted to tick their ground for a while. Normal hopping partner Anwar was once more unavailable, but a couple of other lads Luke and Richard would fill in the void and provide good company as well as helping out with costs. We had a few backups in place, what would be a revisit for me to Bromsgrove, plus 3G pitches at Airbus UK and TNS should the weather be really wet. Sadly the day before, Richard, who is known in our group for having the same haircut as Coronation Street’s Roy Cropper had to pull out, presumably as he had to open his cafe on New Years Day! The night before the game was New Year's Eve but with me driving I showed considerable restraint and only had 3 pints, stopping drinking at 10.30. It might have made for one of the dullest New Years Eve possible with me asleep very soon into the new year, but at least I felt better for it in the morning. I had a patchy nights sleep but got nearly 9 hours in. After having some breakfast and getting ready I left at 9.50am, getting petrol and meeting Luke at High Wycombe station at 10.10. We had a nice quiet journey up although the only concern was a cop car in a layby with me doing 70 on a dual carriageway with a strange 50mph limit. By 12.20 myself and Luke were installed in the Red Lion, the town's Wetherspoons. My first pint was a cracker to kick off the new year with, my favourite, a pint of Black Dragon. 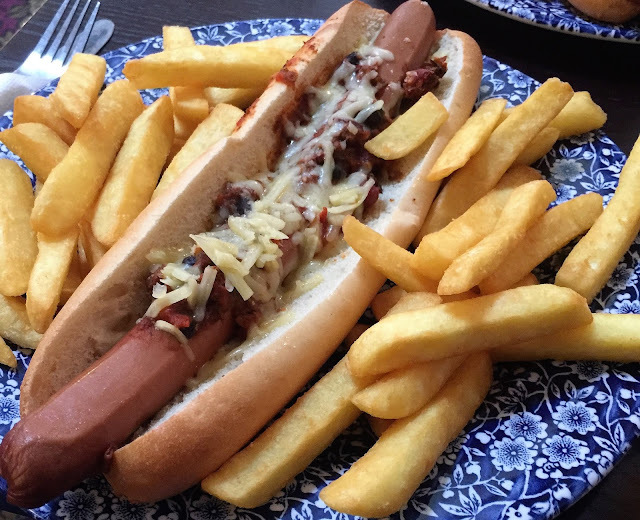 I had to make do with a pint of Strongbow for my Gourmet Hot Dog meal deal but it was good value at £5.49 and the meal was very filling. For my 3rd drink, I had to make do with a non-alcoholic one but San Pellegrino lemon juice was decent enough, though I'd preferred to have been a passenger on this occasion, even with 4 hours still to go till I had to drive, I wasn’t going to risk another. We walked back to the ground arriving just after 1.30. Luke being a passenger had the luxury of going to the bar and I wondered if it was going to be the same story as last time I met him. 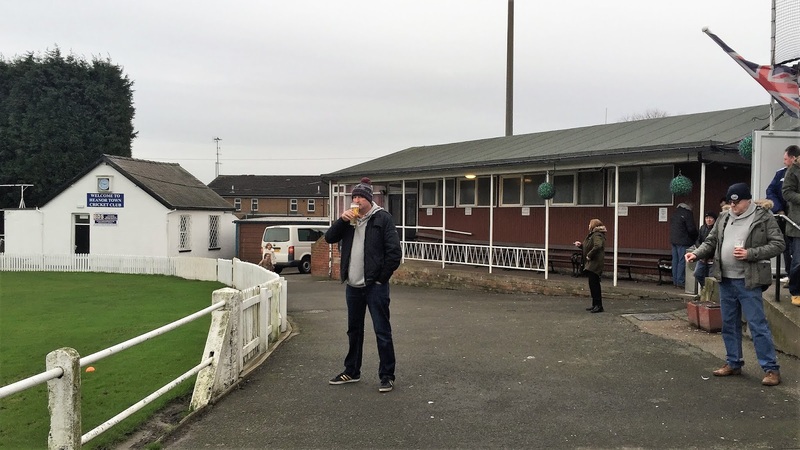 At East Preston, he ever indulged, fell asleep in the bar and missed 80 minutes of what was a pretty dull 0-0 draw. Luckily he was compos mentis for the entire game, and as you will see down the page, the game was anything but dull. 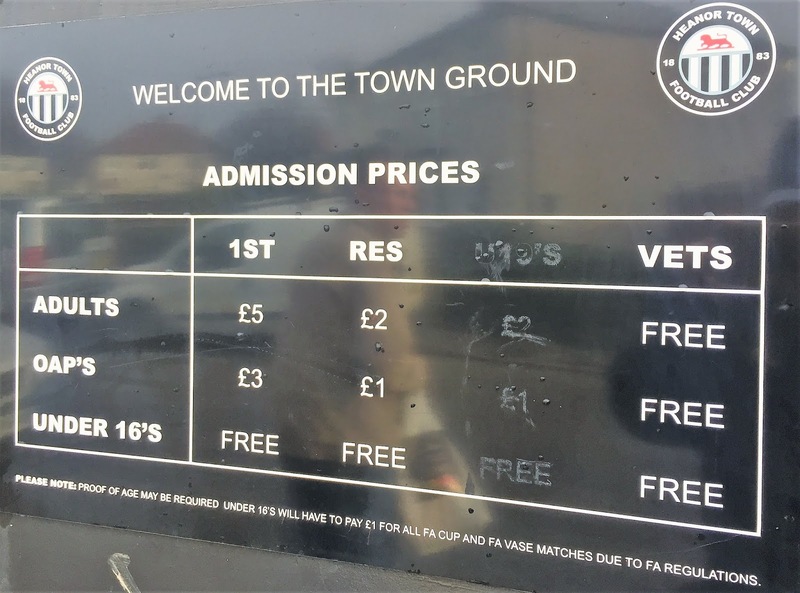 After I’d paid a very reasonable £5 to get in at the turnstile, I went in. I’d also picked up an excellent programme for £1 which had plenty to read in it. A major contributor was Chris Berezai who runs Groundhop UK, a company that organises excellently organised hops for groundhoppers and who I have used several times. It was quite a convergence of hoppers today with visitors from as far away as Germany, Norway, Manchester and Bournemouth. I said plenty of hellos during the day and it was nice catching up with various people. Fist port of call was the club shop. 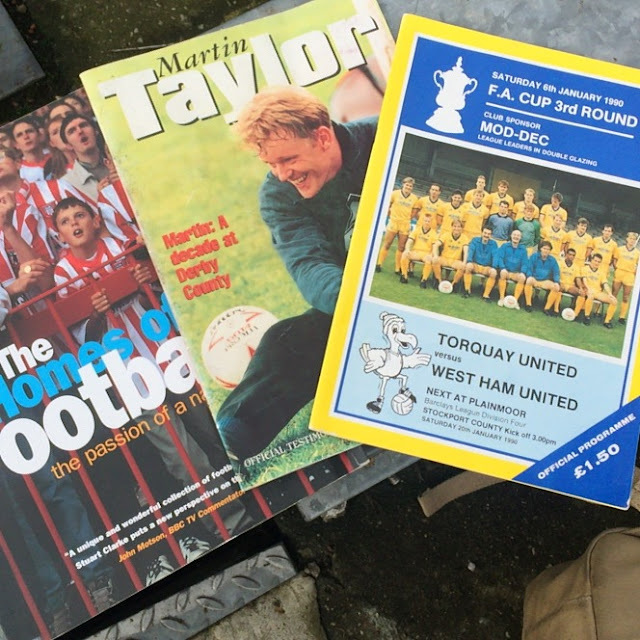 This had plenty of old programmes and books as well as club merchandise and I picked up a few items including a ‘Home Of Football’ book, a Torquay United v West Ham United programme and a Martin Taylor testimonial programme. The guy running the shop said ‘pay what you want’ so I just gave them all the change I had, totalling around £3. Before the game, I went around taking photos of the ground and catching up on Facebook on my phone. 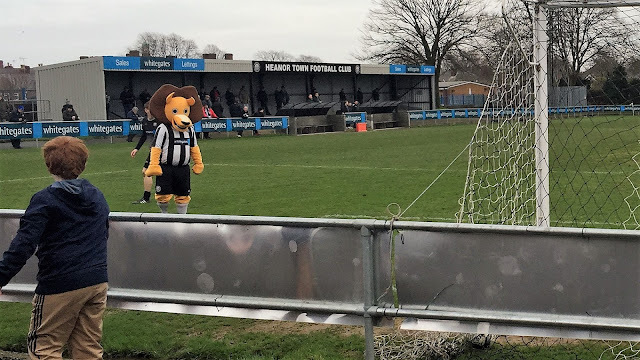 I also saw the couple who run the ’Non-League Dogs’ Instagram and Twitter accounts and there were plenty of canine football lovers in attendance to see today’s game. 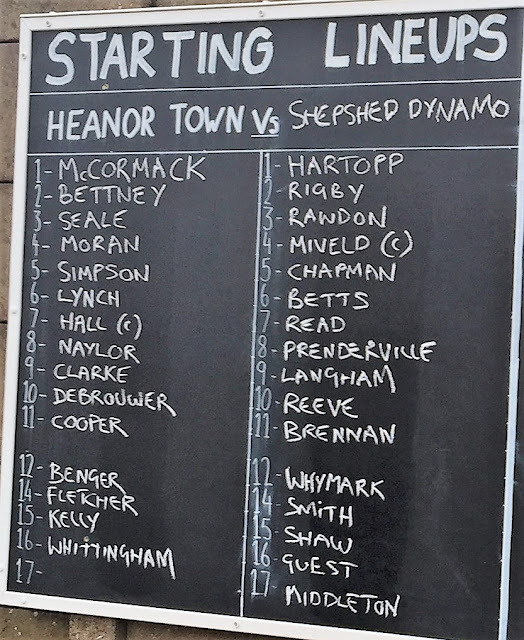 Shepshed Dynamo were the better side early on and they opened the scoring on 23 minutes through Niall Prenderville. A deflected shot deceived keeper Joe McCormack before hitting the post and going in. A few minutes later they could have doubled their lead but Michael Reeve’s diving header was ruled out for offside at the end of a very slick and well-worked move. The second half was a different story with the hosts coming out a different team and they made it all square on 51 minutes when Jay Cooper dribbled around the keeper and finished well. They continued to be the better side but the visitors retook the lead when Liam Read’s shot crashed in off the bar. A few minutes later they had a 2 goal advantage when Matt Langham extended the lead with a well-placed shot from the edge of the area. 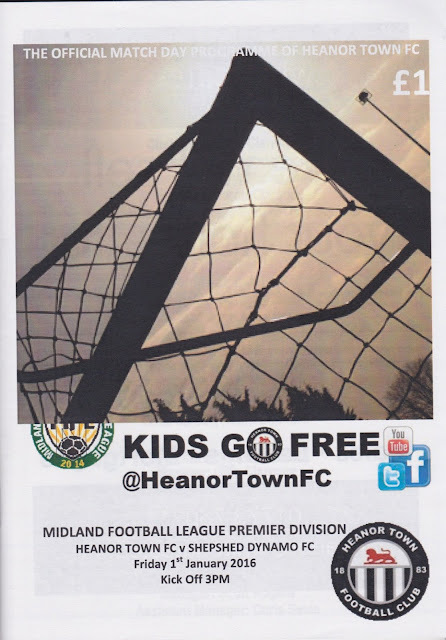 It was harsh on Heanor but they rallied and they were awarded a free kick not long after. Keiran Debrouwer’s effort struck a hand and the hosts were awarded what was a clear penalty. Controversy followed however with Jamie Clarke just about squeezing the penalty past visiting keeper Jack Hartopp. As he went to retrieve the ball there was a pretty innocuous looking coming together between the 2 players but the keeper looked to be injured in the clash. After much deliberation the brilliantly named referee Justice Jacobs game the striker his marching orders, but not before a scuffle between the 2 sets of players. It seemed total nonsense as the player was merely trying to restart play and there was nothing cynical in his attempt to get the ball. Try as they might Heanor couldn’t get the equalising goal and it ended with a hard-earned away win for Dynamo. I got a video of the free kick and penalty incident, though it doesn’t capture the scuffle after sadly as my phone died. During the game, my phone had conked out, so I had to wait till I got back to the car to contact Luke to meet up, though he guessed that I’d be back at the car and we were soon on our way. It was another decent journey home and the roads appeared to have made a New Years resolution not to be a complete pain in the neck, but I don’t expect that to last for long. With various bits of radio to keep us company, the journey went reasonably quick and I dropped Luke back at High Wycombe station just after 7PM before making my way home. 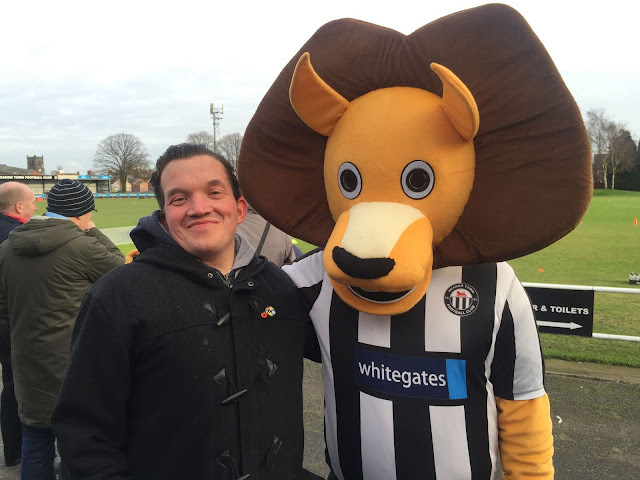 It had been a decent day but in keeping with last night it was a quiet night in with TV and typing this blog, reflecting on a decent start to 2016. 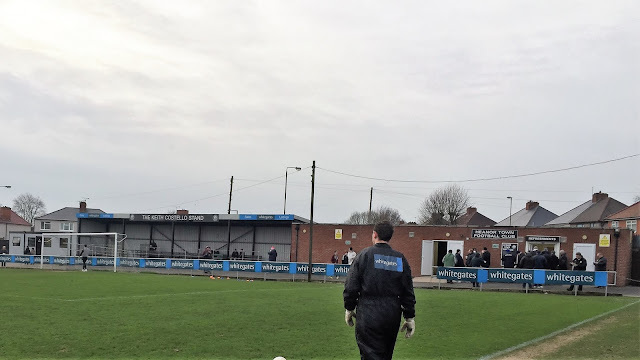 THE TOWN GROUND is a well-located venue close to the town centre. It is shared with the local cricket club meaning that one side is absent of spectator accommodation, while behind the far goal is open hard standing. The other two sides make up for this though and it’s probably worthy of step 3 football. Along the side is a covered terrace that holds around 250 while behind the goal there are covered benches holding around 200 with some extra standing space too. 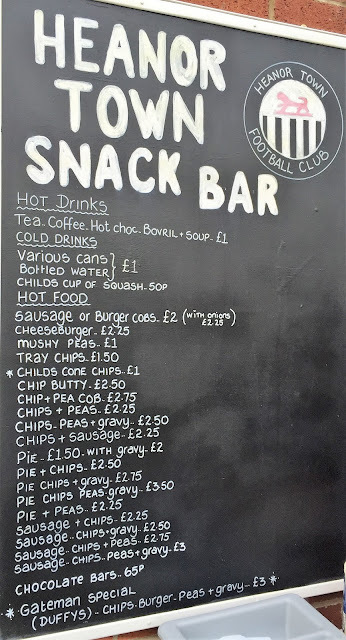 The club shop as mentioned above has a good range of things to purchase. Food and drink wise you are well catered for. The tea bar and clubhouse at the ground have a huge range of stuff for sale that would put most league clubs to shame. The clubhouse is nicely furnished too, with big screen TVs and a pool table. 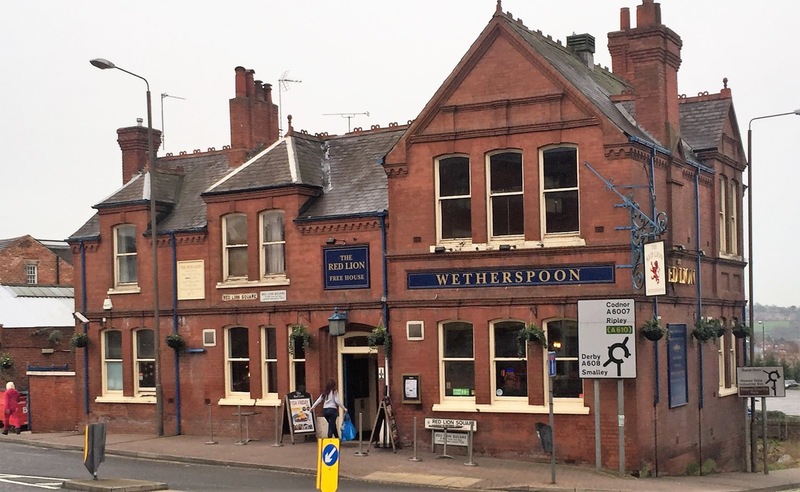 Should you wish to try elsewhere the town has a number of establishments that are listed in the CAMRA guide and takeaways too. Overall a great day out can be had at a friendly club and one of the better grounds at this level. A cracking read, as ever mate. Hope you have a wonderful 2016 and we finally get to share a pint (or many pints).